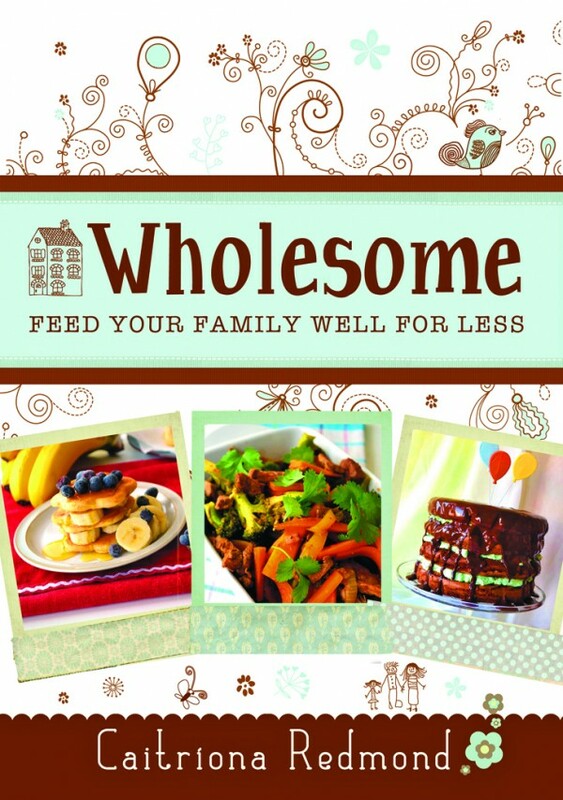 Wholesome: Feed Your Family Well for Less is the debut cookbook by author and food blogger Caitríona Redmond. What sets it aside from your average recipe book is the holistic and practical response to the challenges that face the modern family surviving on a limited budget. Instead of window-shopping through the expensive recipes, it is possible to apply the tips on lifestyle changes, food economy and basic budgeting to the varied menus that are featured, making them attainable. The motivation for this, and the blog, which is where the book stemmed from, arose from a real-life experience, when Redmond found herself out of a job in 2009 and needing to manage on a food budget of €70 per week to feed her family of five. She considers a shopping list to be, “essential on a restricted budget. I write down the list in categories, it will make it harder to be sucked in by flashy stickers and red-marked aisle ends that may not be as good value as you think.” She also researches before going shopping and stocks up on non-perishable items when they are on special offer. It is an empowering book in many ways. Redmond’s openness about her own challenges resonates with many who would find themselves in similar circumstances but unable to talk about it. Dealing with redundancy and unemployment leaves a psychological scar and taking back control of any aspect of your life helps with the healing process. Packed with templates and tips as well as recipes, the book is a story of optimism that was born out of darkness, an uplifting look at what positive thinking can achieve. Redmond says she started the blog as a way of expressing herself and that if it helps one person it has been worthwhile. She recommends checking out the blog, wholesomeireland.com, first. The book is available from all good bookstores, retailing at around €15.